Traveling North on I 65 take Exit 272 (Mount Olive Exit). Coming off the interstate, turn right. At the second traffic light, Decatur Hwy (Hwy 31), turn left. Continue through the next light (Decatur and Snow Rogers intersection). 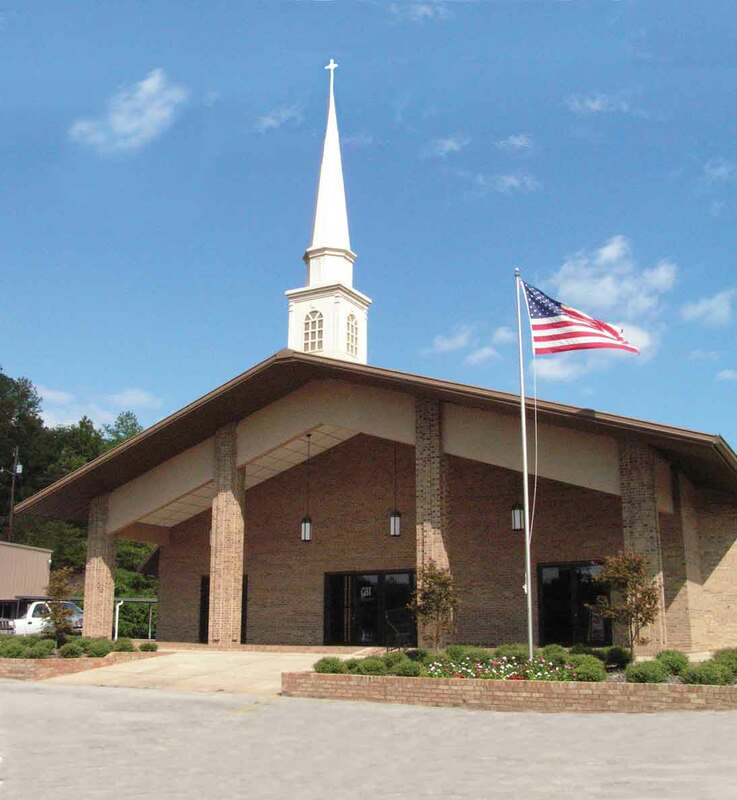 Travel about one half mile, Gardendale Baptist Tabernacle, home of Tabernacle Christian School, will be on the right. Traveling South on I 65 take Exit 272 (Mount Olive Exit) and turn left. Follow the directions above. From I-65 North take Mount Olive Road Exit and turn right. Go through two lights, the second light will be Hwy 31. Once through the light at Hwy 31 you will be on Moncrief Road. Go approximately ½ mile and you will see tennis courts on the left. Take the next road to the left just before a cemetery. The football will be back off of the hill to the left of the big parking lot. Coming up 65 North take the 272 Mt. Olive Exit. Take a left off the Exit heading into Mt. Olive (Mt. Olive Road). Drive straight ahead for a 4-7 minutes. The road will curve sharply to the right when coming upon Mt. Olive Baptist Church. Follow the curve and continue straight about 1 mile. The field will be up on the left. Enter into a dirt parking lot right next to the softball field. The adjoining parking lot will be the baseball field. The baseball field is a short walk from the softball field. Traveling South on I 65 take Exit 272 (Mount Olive Exit) and turn right. Follow the directions above.